enjoy scrumptious mountain burgers, hearty soups, brekky rolls plus a range of delicious vegetarian fare. Cake, coffees and leisurely lunches a specialty. Frost Bite is open during Winter. Chocolate and coffee addicts beware! Gourmet Forty Two is the dedicated coffee and chocolate take-away outlet in Thredbo. Open 8am to 6pm 7 days, Gourmet Forty Two offers a unique selection of coffee blends from around the world and Australia freshly ground onsite to suit your style, a sensational range of truly unique Australian homemade chocolates, frappes, Italian sparkling and flavoured waters and a variety of gourmet soups. 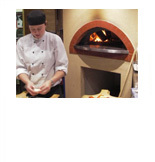 OK we don't have a photo but there is something about pizzas cooked in mountain air with alpine water... they just taste great. BYO. Dine in or take out. Alpenhorn Thai It is the Thredbo’s only Thai restaurant and offers in house dining (BYO in 2008) or Take Away with delivery if required. 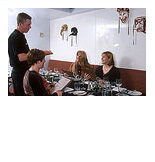 This popular restaurant features Thai cuisine fused with modern Australian in a warm, intimate atmosphere. Banquet menus are available for groups of six or more or try our "Curry in a Hurry" if you are in a rush. Kids friendly for 5:45 pm bookings. Thai Take Away is available - drive up to collect your meal or have it delivered. Cascades is open 365 days of the year for Breakfast and Dinner, Lunch is served in Winter and is almost brasserie style. 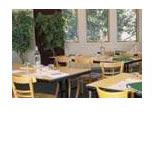 The restaurant features spectacular mountains and valley views and is centrally located in the Thredbo Alpine Hotel. Open Breakfast 7.30am - 10.30am, Dinner from 6.30pm and very kids friendly. 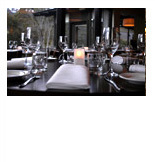 Located in the heart of the village Cascades is a long time favourite and one of Thredbo's most renowned restaurants. The Knickerbocker: European Mountain Kitchen Food for Active Adventure Seekers. With European mountain food, great beer, fantastic wine and, of course, the finest schnapps in the mountains! The Knickerbocker gives the experience of mountain restaurants, German beer halls and the fun of the Alps. The Knickerbocker is a must-visit. A relaxed, family-style atmosphere offering modern cuisine. Open during Winter and for functions over the warmer months. Open 5.30pm till late this popular restaurant will appeal to both families and couples. 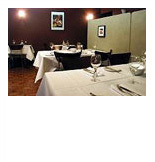 Rivers Restaurant is situated at the base of the Gunbarrel Express Chair at Friday Flat in the River Inn. Dine in a relaxed atmosphere offering a la carte and sumptuous menu selections. For kids, there are some simple practical meals such as spaghetti bolognese, pizza, and fish and chips. 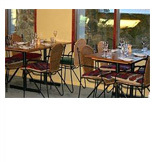 Sante Restaurant is located in the heart of Thredbo Village. It has a warm and relaxing ambience - bathed in candlelight, rustic wooden tables and banquettes piled with feather filled cushions. 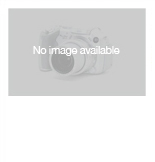 The kitchen offers award winning Modern Australian food. Open Dinner 6pm until late. Lunch (winter) 11am - 3pm. Sante Restaurant offers a truly memorable alpine dining experience. The food, wine and welcoming service will seduce you into forgetting about those aching muscles. The signature restaurant in the Alpine Hotel is ideal for that special night out. It is open during Winter and available for private functions during Summer. Open From 6pm Segreto is an intimate dining experience. The fine cuisine is carefully prepared and inspired by the cuisine of the central regions of Italy using delicious local and imported produce. 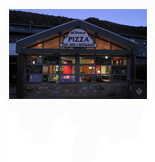 The T-Bar Restaurant, one of Thredbo's most popular licensed restaurants, is centrally located in the Village Square. 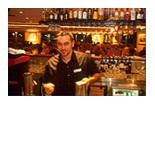 With an Australian high country theme, an inviting bar and an open fire, the warm atmosphere is hard to beat anywhere. Open Nightly from 6pm. The staff are exceptionally friendly and work hard to create a relaxed atmosphere and provide the most memorable dining experience in the mountains for you. With breathtaking floor to ceiling mountain views as your backdrop experience the award winning service and culinary delights of The Terrace Restaurant at The Denman Hotel. The Terrace was well rated in the SMH Good Food Guide and although last alphabetically in this list, is undoubtedly the best fine dining restaurant in Thredbo. Its Apres bar is renowned for its cocktails. Open Wednesday to Sunday evenings from 6pm. The 7 course degustation with matched wines is a truly fabulous dining experience.